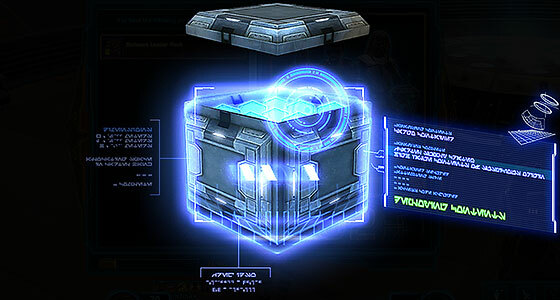 As part of patch 4.7 last year, SWTOR introduced a new pack opening experience that included a number of quality of life changes to how items from Cartel Packs are acquired and stored. It also came with a brief animated sequence complete with Aurebesh readouts as each box disgorges its treasures. I don’t open a ton of packs, but I recently remembered to snap a screen shot of the new animation. 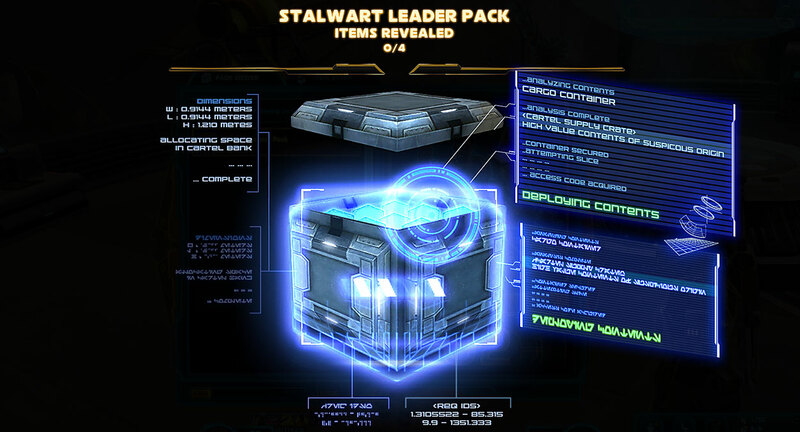 The information displayed includes the exact dimensions of a Cartel Pack and the steps needed to slice into each box of goodies. Sadly the security scan cannot reveal its contents prior to opening. If you want to know if you scored an awesome new lightsaber or just another pair of bronze pants, you’ll have to peak inside yourself.